All you need to get going is to add a simple script tag to your page and begin using the custom elements. First you will create your space or “scene” using a <scene></scene> tag and begin adding what A-Frame calls primitives. These are easy to implement elements that a designed to make building virtual objects appealing for beginners. https://aframe.io/examples/showcase/helloworld/. Tap on the google icon to toggle a full screen view and then click in the space to move around. 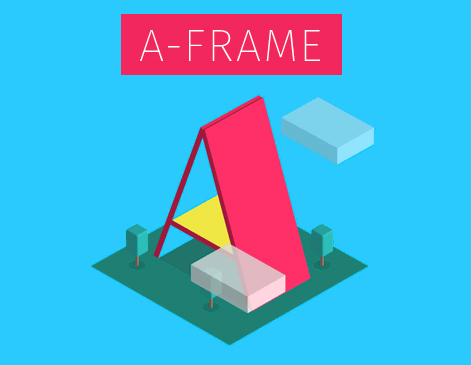 A-Frame can be accessed through the browser as well as most VR headsets (Oculus Go/Rift, Cardboard, Daydream, Vive, GearVR). Using this framework one can begin building molecular models, recreating historical spaces, designing stage and scene environments for performing arts, and so on. There are many examples of VR projects, each with code displays to get you going on building a project with this powerful framework. Visit https://aframe.io/docs/0.9.0/introduction/ to begin learning.